Once winter rolls around, Utah Valley becomes a winter wonderland. If you don&apos;t mind the cold, come enjoy some great outdoor activities the whole family can enjoy. 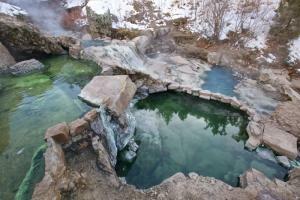 Fifth Water Hot Springs Diamond Fork Rd, Springville, 84663 - is one of the best places to enjoy the hot springs of Utah Valley. It&apos;s always fun sitting in naturally hot water with a fresh snow just feet away. There is a hike in that helps keep the springs secluded, but it&apos;s flat and easy enough to navigate in sandals. You may want to bundle up for the hike and wear your swimming suit underneath a couple layers. The pools are bright and colorful, with the temperature and water color varying between pools, which adds to the experience. It is a family friendly spring, as skinny-dipping is illegal in Utah County. Fifth Water Hot Springs is popular with all ages. You&apos;ll want to bring a towel, change of clothes, and shoes for the hike. 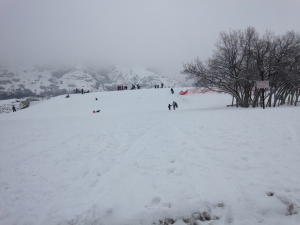 Sledding/Tubing - Rock Canyon Park 2620 N 1200 E Provo, 84604 - is a great sledding hill both for those looking for an adrenaline rush and those with small children. 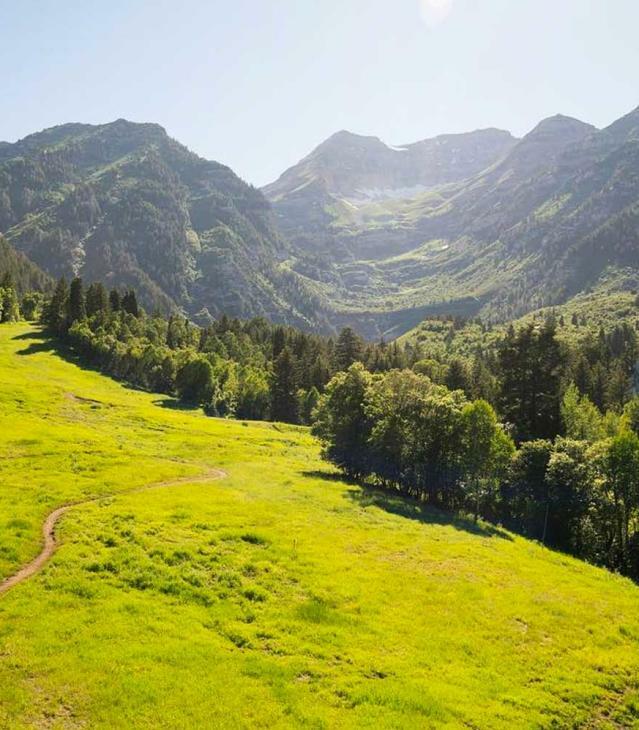 This is one of the most popular sledding/tubing destinations in Utah Valley because it does have such a great variety of paths and hills. There are hills on all sides of the park, which basically form a large bowl. The paths get packed down with all the riders using them, and you can get going quite fast on some of the longer, steeper trails that older kids are sure to love. Sleds and tubes can be easily found at Wal-Mart, Target, or many other nearby stores. Hiking - Bridal Veil Falls Located up Provo Canyon; Hwy. 189 - is one of the Valley&apos;s most popular summer hikes, but there is still plenty to do in the winter. The falls are just as beautiful, if not more so, once they have frozen over. A trip to the falls during the winter can be described as beautiful, inspiring, and unforgettable. A hike up to the middle of the falls is slightly more challenging in colder temperatures, and you should keep your eyes peeled for ice, but the everyone can still safely join in. 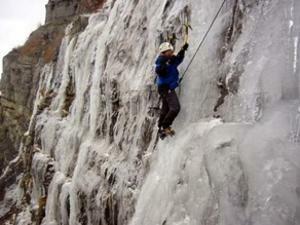 The icefall known as "Stairway to Heaven" attracts ice climbers from around the world. Climbers can begin on the safe, anchored first pitch, called "The Apron", and work their way up 10 pitches total. 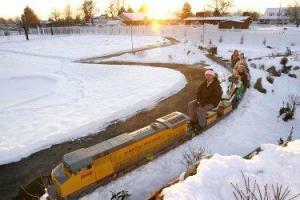 Stringtown Polar Express Train 455 East 200 North Lindon - The Polar Express is a train ride for the whole family that leaves the Stringtown Station and travels to visit Santa Claus at the North Pole. Santa will sing Christmas Carols with the kids, tell a Christmas story, and teach about the true meaning of Christmas. Young kids will have a chance to sit on his lap, get their picture taken, and of course tell him what they want for Christmas. On the way back from the North Pole, you will learn about Christ&apos;s birth and life through music and pictures. Thanksgiving Point&apos;s Holiday Lights 3003 N. Thanksgiving Way, Lehi, UT 84043 - No winter is complete without looking at holiday lights with the family. Come start your tradition at Thanksgiving Point Gardens during the holiday season (usually from Thanksgiving to New Year&apos;s- see site for exact dates). Stay warm in your car as you drive through displays of more than a million lights featuring snowmen, angels, and reindeer. 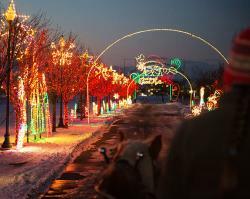 Or for a more intimate experience, make a reservation and see the lights from a wagon, trolley, or horse-drawn carriage! This is a sight to make the season bright.